Do you recognize this adorable tot? 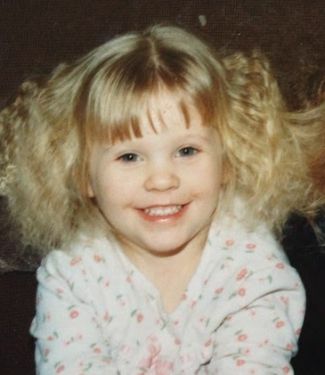 Back when this photo was taken, she was just a carefree kid (with crazy hair!) Back in the mid-1990s she spent her days at home, playing with her sisters. A lot has changed for this girl since then; she now stars on a very popular reality show and is about to become a mother herself! She’s also managed to tame her wild hair, and currently sports some of the best locks on reality TV! Can you guess who this little girl grew up to be? Click below to find out! 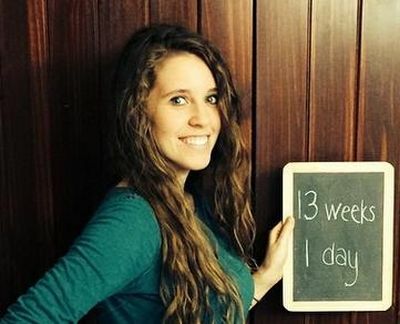 It’s Jill Duggar! These days, Jill stars alongside her family on 19 Kids and Counting. She married Derick Dillard in June, and recently announced that they are expecting their first child! Jill is currently in the second trimester of her pregnancy, and has not yet announced whether she’s having a boy or a girl.